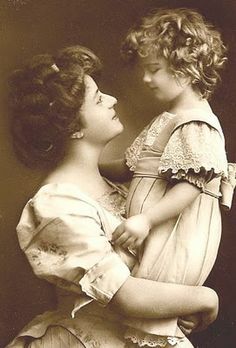 Happy Mothers Day to family and friends in the UK! There's no one quite like a Mum's love! Bess meets Benny, a teenager with mild autism who attends a therapeutic special school, and learns he has a dream of his own: to impress his self-absorbed mother. Benny is drawn into the world of dog shows and becomes convinced he has found the perfect way to win his mother’s attention. If he can win Westminster with either McCreery or Breaker, he just knows she will finally be proud of him. Getting Bess to go along with his plan, however, is not going to be so easy. .. Note to Readers: Up to 100% of the author’s profits will be donated to charities serving animals and children. We have all read wonderful stories about children and their four legged friends but this book comes right at the top of the list with its touching story of a retired dog breeder, McCreery and Breaker the Standard Poodles and a young boy named Benny! The novel caught my attention immediately with its sweet cover and its mention of Autism. The first would melt anyone's heart of course, the second is a reminder of a disorder characterized in various degrees by difficulties in social interaction, verbal and non verbal communication and repetitive behaviour. As a Child psychoanalyst, I imagine Diane Daniels Manning has seen her share of such young patients. At first glance Beth Rutledge and Benny might have little in common but for one item: both love dogs. At 70 years of age, Beth has bred and trained champions for decades yet for some reason has never made it to the most coveted of shows: Westminster! Benny is a bright young man challenged with mild Autism, a condition that has him full of energy and often anxious, his attention span limited and wishing with all his heart for a canine friend. One look at Beth's champion McCreery and he knows this is 'The' Dog. In 'Almost Perfect' the author's refreshing plot line describes the emotional tight line involved in showing dogs and the challenges someone like Benny faces everyday. Her characters are endearing and certain to pull at your heart strings! It did not not take long to realize Diane knows well her subject (make that a plural as she certainly showed knowledge of both show dogs and children!) and created the most congenial of novels, that of people slightly imperfect, each reluctant to open their heart without some reservations but with a connection born out of love for that most irresistible fur friend: the dog! 'Almost Perfect' was...perfect to the last word! Diane Daniels Manning was raised in Redding, Connecticut, the setting for her novel ALMOST PERFECT. As a youngster, she rode her bike up and down former cow paths to the Mark Twain Library where she plundered the children's shelves and fantasized she'd grow up to a famous writer like Samuel Clemens. Inevitably she was educated, taught English and reading in Connecticut, and earned a Ph.D. in Education and a post-doctoral M.P.H. from Harvard. She climbed the tenure ladder and served as Director of the Reading and Learning Disabilities at Tufts University. There she became convinced that special needs children are best helped when equal attention is paid to their emotional and their academic lives. Her Standard Poodle, Bel Tor Mandy, accompanied her to work daily and taught her the therapeutic benefit of animals. Following an appointment at Harvard School of Public Health, she moved to New Orleans where she served as Chair of the Department of Education at Tulane and became certified as a child and adult psychoanalyst by the American Psychoanalytic Association. In 2005, she moved to Houston and co-founded The New School in the Heights (www.newschoolheights.org) , a therapeutic school for bright children with social and emotional challenges. She continues to serve as Executive Director. 100% of book profits will be donated to charities serving children and dogs. See www.almostperfectnovel.com for details on how your charity can participate. Diane's writing awards include the Faulkner-Wisdom Novella Prize and a Women in Film and Television Short Script Competition. She learned the workings of dog show kennels by writing an authorized oral history of a past President of the Poodle Club of America. When not at The New School in the Heights, she and her writing partners, a Standard Poodle named Misty. Note to Readers: World Autism Awareness Day is 2 April 2014 and throughout the month of April! Disclaimer: I received a copy of this book courtesy of the author as part of this book promotion. I am disclosing this in accordance with the FTC 16 CFR, Part 255 'Guides concerning the use of endorsements and testimonials in advertising. I was not asked to write a positive review and all opinions expressed are entirely my own. 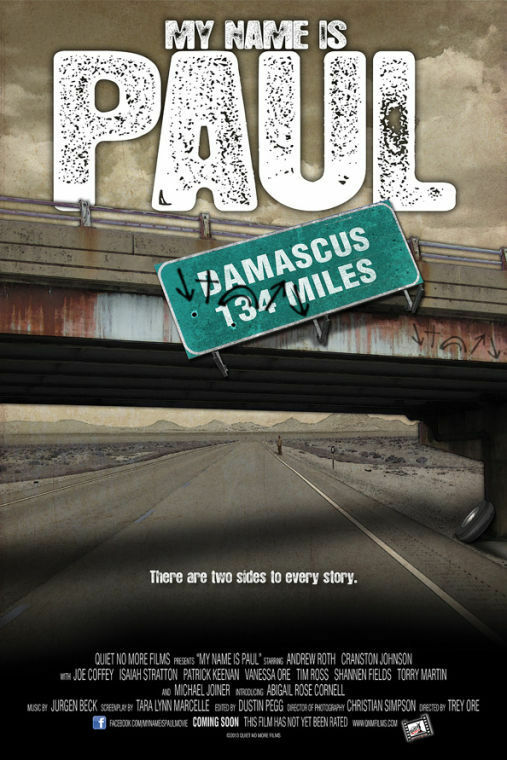 My Name is Paul takes place in an apocalyptic dark future where Paul is hate-filled and intent on finding and destroying Peter, a Christian and the enemy of his leader. In an accident he is blinded and Ananias, who follows "The Way," prays for him. His sight returns taking him off his hate-filled course and he learns to live and love "The Way." Now he has to find Peter but his former leader and the government against "The Way" conspires to use him to get to and destroy Peter and the movement. “My Name is Paul” stars Michael Joiner of “The Grace Card” and Shannen Fields of “Facing the Giants” and has been awarded the Dove “Family-Approved” Seal for ages 12+. “If God can use a guy like Paul, who called himself the Chief of Sinners, what can He do with a guy like me or the person that watches this film,” said the film’s director Trey Ore.
A leader in the music industry for over 60 years, Word Entertainment, a Warner/Curb company, is a unique, comprehensive entertainment company comprised of multi-faceted artist service departments including publishing, merchandising, booking and online initiatives and is home to 25 Entertainment, Word Distribution (representing Curb Records and Big Idea/VeggieTales among others), Word Print/Church Resources, Word Films, Word Music Publishing and Word Label Group’s Word Records, Word Worship and Fervent Records. Saul of Tarsus is perhaps best known to Christians as Paul the Apostle and the movie is an analogy of the man known for his hate and persecutions of Christians. Science fiction and apocalyptic prophecies are not my cup of tea. So in tune is my family, each groaned when I first mentioned the movie knowing I detest the genre. In his younger days, Saul was involved in persecuting Jewish followers of Jesus because he believed they were heretics (Acts 22:4-5). Saul was traveling to the city of Damascus when he saw a bright light and heard Jesus' voice saying "Saul, Saul, why do you persecute me?" He fell from his horse, blinded. Days later, after a visit from the Christian disciple Ananias, he recovered his eyesight and began to preach Jesus' gospel. (Acts 9, 22 and 26). My Name Is Paul features a movie adaptation surprisingly closer to the original story than I anticipated. I believe the director did his utmost to follow the biblical story and even used the names as read in the Bible. The actors however are unfortunately lagging behind his efforts at the detriment of the overhaul quality of the movie. That said, the movie will appeal to those fond of a future connotative with the grim outlook of post apocalypse and is well worth the message: Once converted, Paul committed himself to his new found beliefs whatever the outcome. Scent Of Lilacs, Book 1 in The Heart of Hollyhill Series (see review HERE) was a nostalgic reminder of the best of the Sixties, with a little of the Mayberry atmosphere, each character ready to tug at your heart with their wholesomeness just like Opie, Aunt Bee and Sheriff Andy. Following Orchard of Hope, (Book 2 in the Series now sitting on my night table ready to be enjoyed and reviewed in the near future) Summer of Joy was as I envisioned and the perfect tie for the end of the Series or is it? Ann, shall we look for Jocie in College or married perhaps in the future? The Holiday Season is everything the Brooke family hoped for. Life is good for all in Hollyhill, KY and Pastor David and Leigh have finalized their plans for the future: Weddings bells will soon be ringing in their little town and Jocie will now have a complete family together with sister Tabitha, baby Stephen Lee and Scriptures spouting Aunt Love! But first Jocie will have to weather a few hiccups in English class. Her teacher Mr. Creep, uh, Mr. Hammond, has it in for her it seems and Jocie is praying really hard the school year will soon be over. Jupiterian Wes remains Jocie's best friend and confidante but when someone from the past comes to claim his love, Jocie fears she might loose her adoptive motorcycle riding Grand'Pa. Meanwhile DeeDee, Jocie's long estranged Mum, faces the ultimate challenge and must come to terms with the past. Book 3 may be read as a stand alone thanks to Ann's expertise in reminding us here and there of her characters past exploits. Her warm heart stories reminds us of simpler times when families were eating and praying together, when a young girl kept journals and small town life was far remote from hot and cold wars and the teetering of an all nuclear conflict. Family values and a solid faith remains Ann's strong points in these endearing stories, guaranteed to leave you with a good feeling and perhaps for some of us longing memories. At times buoyant, others wistful, her plot line remains consistent with those beliefs and when all is revealed in the end, grants us the sweet entertainment we have learned to expect from Ann H. Gabhart. Ann H. Gabhart caught the writing bug at the age of ten and has been writing ever since. She's published over twenty-five books for both adults and young adults. Scent of Lilacs, her first inspirational novel, was chosen as a Top Ten Books in Christian Fiction by Booklist magazine. Her first Shaker book, The Outsider, was a finalist for ECPA Christian Fiction Book of the Year and was a Top Pick by Romantic Times Book Review Magazine. Disclaimer: I received a copy of this book courtesy of BAKER PUBLISHING GROUP as part of the book's promotion. I am disclosing this in accordance with the FTC 16 CFR, Part 255 'Guides concerning the use of endorsements and testimonials in advertising. I was not asked to write a positive review and all opinions expressed are entirely my own. · What will heaven be like? What will we do? Who will we see? · How can I become more excited about heaven as my true home? · Is it possible that knowing more about heaven will result in greater joy and purpose in my daily life? It's not easy separating fact from fiction when it comes to heaven, nor is it always easy to see how the afterlife can affect our lives today. After a car accident caused his nineteen-year-old son to unexpectedly enter heaven, Pastor Steve Berger chose to reject despair and commit himself to carefully studying his son's new, eternal home. He had no idea how much there was to learn, and his life hasn't been the same since. This biblical and deeply personal study of heaven will give you hope for the future. But more than that, it will show you what it means to live today in light of the reality of heaven. If your view of heaven isn't life-changing, it needs to be adjusted. Let Pastor Berger's exploration of eternity fill you with overflowing hope, courage, and purpose. When a loved one dies, we hurt so much we often forget God's promise Heaven will be the ultimate reward. What is Heaven, we wonder? At best we picture a sort of land of milk and honey. Christians have tried to imagine what this Heaven will be like for millenniums. We long for the healing and freedom of God's mansion yet we fear leaving our loved ones upon death. Sadness is overwhelming when it holds you tight in its grip, ever more when we loose a child. There are no simple answers to such a question but God shows us the way. He reminds us to look to Him in our hurt, to know the joy that is before us whilst enduring our cross in order to sit one day at the place of power at His right hand. With an insight born of personal hurt, Pastor Berger explored the Bible's detailed accounts of Heaven and the promises of after life to offer comfort and a measure of hope to anyone who faces such difficult times as he did. Despite the sadness, there is to be also joy, joy that for anyone departing earth, whatever form Heaven takes after death, God's promises will come true. C.S. Lewis said: 'Joy is the serious business of Heaven' whilst Martin Luther stated 'If you are not allowed to laugh in Heaven, I don't want to go there.' It sounds pretty good to me! To those whose hurt we witness, our ultimate goal should be to be like Jesus, wherever it is, at whatever time, day or night, with everything we have and someday to be with Jesus face to face. I believe Steve Berger's advice to be spot on! 4 Stars and heartily recommended for Pastors and Church libraries. Disclaimer: I received a copy of this book courtesy of BETHANY HOUSE PUBLISHERS as part of the book's promotion. I am disclosing this in accordance with the FTC 16 CFR, Part 255 'Guides concerning the use of endorsements and testimonials in advertising. I was not asked to write a positive review and all opinions expressed are entirely my own. 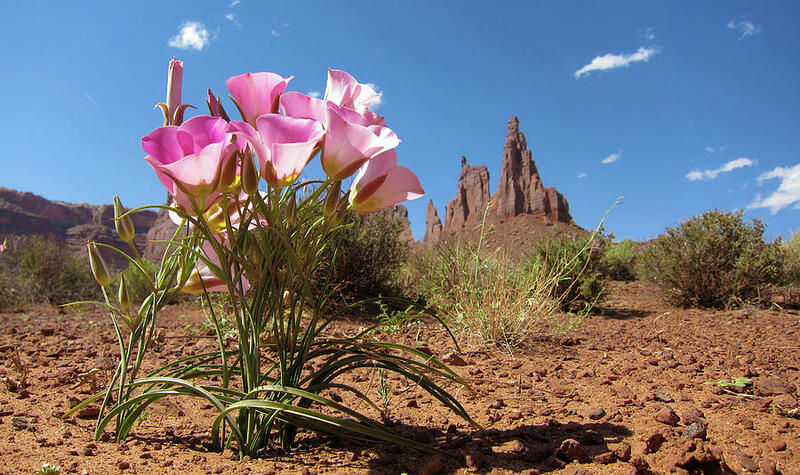 The heart is like a flower - unless it is open it cannot release its fragrance into the world. This post was inspired in part by TIME FOR REFLECTIONS. IESODO (pronounced YAY-SA-DOE) is an absolute must to see! Delightful entertainment at its very best for the whole family! YOU HAVE NEVER SEEN ANYTHING LIKE THIS!! 1 - "Miracles Are Everywhere" - A big event is happening! Thousands of birds from all over the world have gathered to meet Iesodo, but food is scarce and the flocks are getting hungry. Iesodo provides in a way no one could have expected. 2 - "The Wind and The Rain" - The flock is soaring through the sky on their way back to the Cypress Tree when a sudden storm approaches out of nowhere! Trapped at sea and frightened, they learn that when you have faith, anything is possible. 1 - "Birds of a Feather, Fish Together" - The wedding celebration of Freddie and Fiona Finch is headed for disaster! Iesodo steps in to calm everyone's ruffled feathers and make the event a success. 2 - "Love Your Enemies" - Zack the tax collector doesn't play by the rules. Iesodo shows the flock that treating those who are mean to us with kindness really does make a big difference. IESODO or 'The Way Of Jesus' in Japanese is the latest video series based on the most influential figure of our times: Jesus and as you guessed, the most enduring best seller of the last 2000 years: The Bible. IESODO is a kind and wise white Dove who lives in the Holy Land in a beautiful Cypress tree located on the shores of a vast lake (known to us as the Sea of Galilee). As leader of his flock, he spreads a message of love and kindness wherever he goes. His lovable bird friends are very different from one another but there is a common point amongst them: Since they have met the Teacher, their lives have changed forever. Folks, this is a splendid opportunity for any family to teach positive values to little ones of course and you will not want to miss it! "People of faith will be reminded and appreciate the reflection of Jesus. People who are not of Faith will appreciate the values, good teaching and entertainment. There truly is something for everyone and for all ages." Each episode is based on well known parables, as noted in the special features and displays a keen understanding on how to witness in His name even for the littlest one amongst us! Included with bibles references, are sing a longs certain to have everyone singing and clapping in tune and fun and games to involve the whole family! Further discussion guide also available on the website (HERE). Loos served as writer/producer for “Touched by an Angel,” “The Christmas Lamb” and “Kids 10 Commandments.” The mini-movie kids’ series, “McGee and Me,” also produced by Loos, sold over 5 million copies and earned 12 Gold and 12 Platinum Awards. Disclaimer: I received a copy of each DVD courtesy of EDIFY MEDIA Inc. as part of the series promotion. I am disclosing this in accordance with the FTC 16 CFR, Part 255 'Guides concerning the use of endorsements and testimonials in advertising. I was not asked to write a positive review and all opinions expressed are entirely my own.